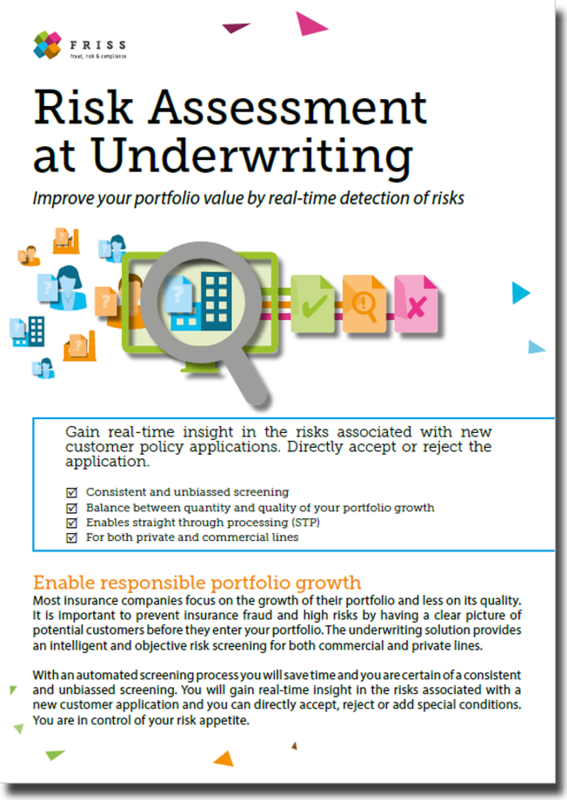 Improve your portfolio value by real-time detection of risks during the underwriting process. Improve your portfolio quality by real-time detection and assessment of risks at underwriting. It is important to prevent fraud and risk by having a accurate and objective picture of potential customers before they enter your portfolio.